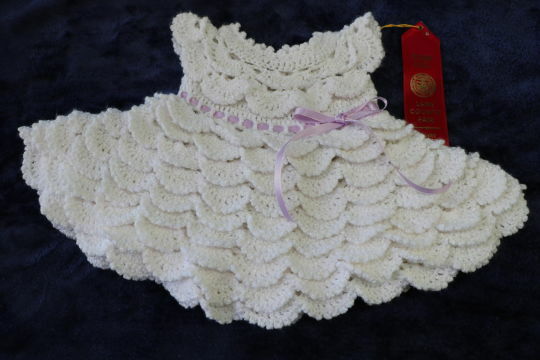 Wouldn’t this look beautiful on your little girl! Lots of layers of ruffles make this a one of a kind. Whether it is for a party, a christening or just to take some beautiful pictures, this will help make her look beautiful. This is 6-12 mo. size. This was made with Bernat Baby Coordinates.